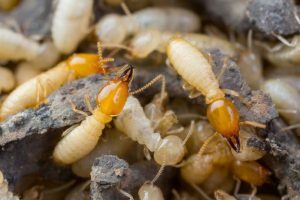 Termites are often considered to be one of the most common house pests that can be found in any setting. However, researches and surveys have revealed the fact that termite is agents that can cause much severe damage to a building or a construction as compared to a sudden fire. Treatment of these house pests has undergone a huge change in the recent past. The new chemicals that are being brought into the market are not only effective but compared to their predecessors they also are quite environment-friendly. Pest control companies in Dubai use chemicals that are much different in their nature, composition, and affectivity as compared to the chemicals that were being used before 1989. These days methods of anti termite treatment in Dubai has to majorly comply with the environmental norms of being safe for the planet. Hence many complain that the current methods are often not as effective as were the earlier ones. When we talk of the anti-termite chemicals, they are mainly of two categories – the liquids and the baits. The liquid forms are however the most effective ones when used for applying over the soil. It provides a longer a stronger barrier against the termites so that they cannot enter a building via the soil. If there exists any termite in the construction structure they also die as they are too unable to return to the soil. Some of the common chemicals used in the anti termite treatment in Dubai are arsenic trioxide, bifenthrin, permethrin, fipronil, and imidacloprid. How Anti Termite Chemicals Are Applied? In most cases, these chemicals are applied to the soil at the time of the construction. They must be added at the ratio directed as that is both effective for pest control and is also conducive for the environment. These chemicals are often mixed with water before being added to the soil. Applying then with the help of a bucket is often a better idea than using a sprinkler, which might not be as effective. The pest control companies in Dubai adds the anti-termite chemicals either at the time of construction or after the process of construction. In either situation, the treatment offers resistance to termites for a span between five and ten years. However regular inspection and checking are very important! If you ever find a termite tunnel in some hard to reach the place, it is wise to get an additional local treatment done for extra safety. Supreme Pest Control Services is one of the most dependable names for pest control and anti-termite treatment in Dubai. This is a one-stop solution for all types of pest control and follows all legal rules and regulation in this genre for environmental safety.